Let’s reacquaint ourselves with all the latest at CXO. 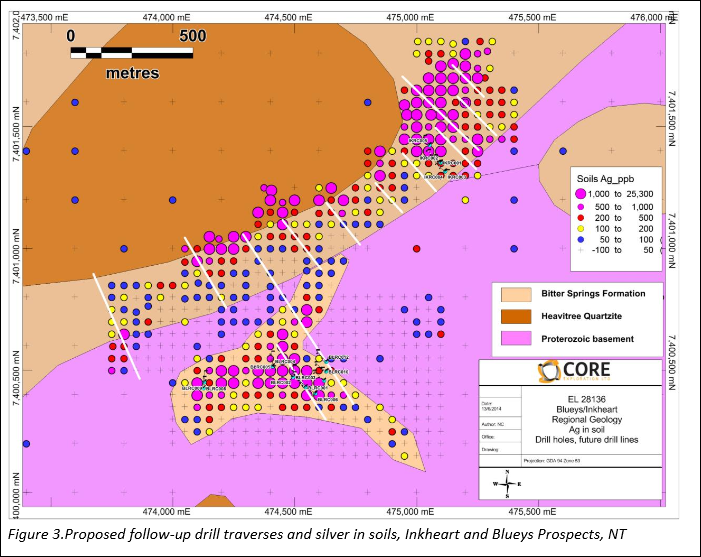 CXO recently completed its much awaited maiden drilling at the Blueys and Inkheart Prospects, and the results were promising. It seems both Prospects are part of the same big system. 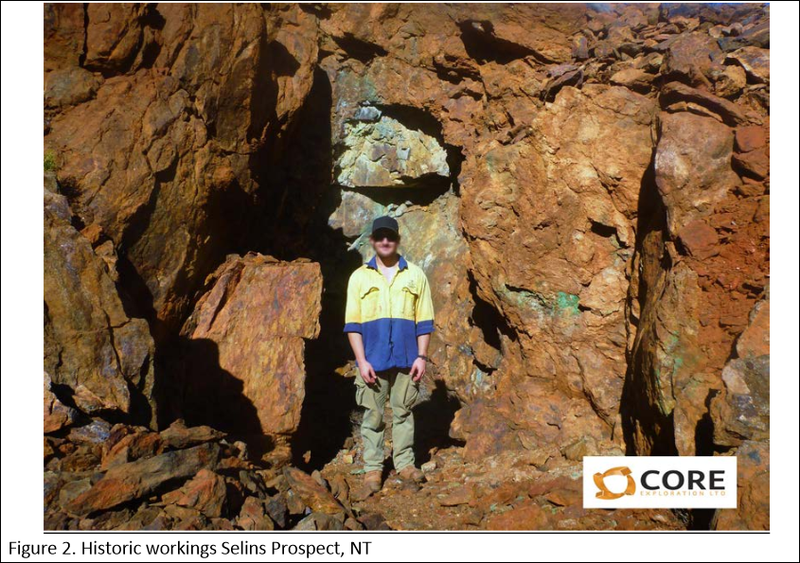 Amongst other high grade hits, CXO delivered results of 1 metre at 1,070g/t silver with 8% lead at Blueys. Other results included 2 metres at 843g/t silver with and 5.9% lead within in a broader halo of 17 metres at 116g/t silver and 0.83% lead. 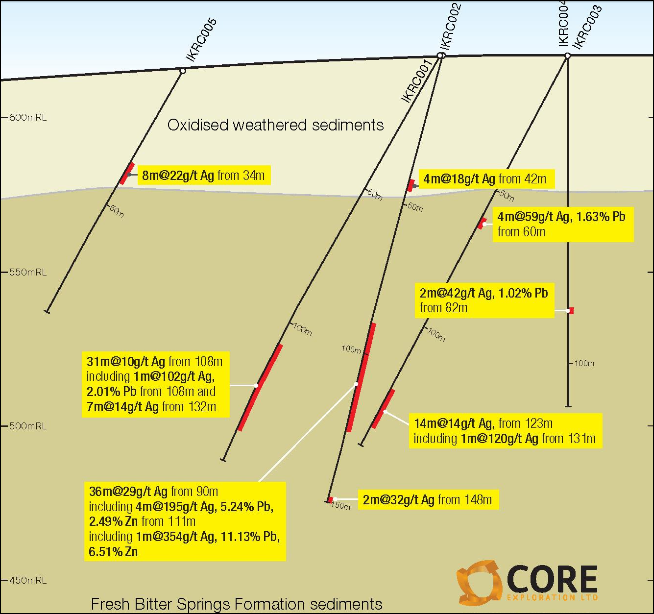 The first ever drilling at Inkheart hit a 4 metre grading 195g/t silver, 5.24% lead and 2.49% zinc, and this hit included 1 metre at 354 g/t silver & 17% combined lead and zinc. 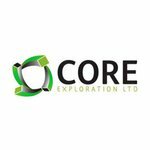 CXO has only drilled one traverse at Inkheart so far and hit high grade – CXO now has over 2,000m of high grade target to test in the next drilling program. So it’s not long before we find out just how big a deal Inkheart and Blueys really are. Following the Next Oil Rush article on ASX:TPT – Drilling Just Weeks Away for Tiny Explorer Targeting 1.6 Billion Barrels of Oil – TPT’s share price has risen as high as 80%. After the Next Mining Boom covered ASX:SGQ in the article BHP Gives Away Potential Global Scale Nickel Project – its share price has risen as high as 70%. Since the Next Small Cap article Sirius went from 5c to $5... New Upstart Explorer Has More Land, More Drilling Targets on ASX:SEG, its share price has risen as high as 100%. After the Next Small Cap covered ASX:NML in the article Tiny ASX Company in Race to Discover the ‘Australian Andes’ , its share price has risen as high as 100%. 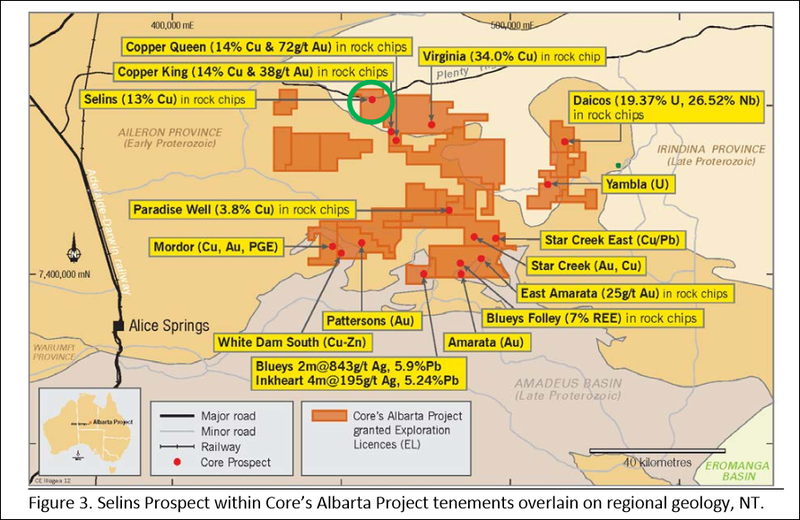 More High Grade Copper for CXO at Virginia? 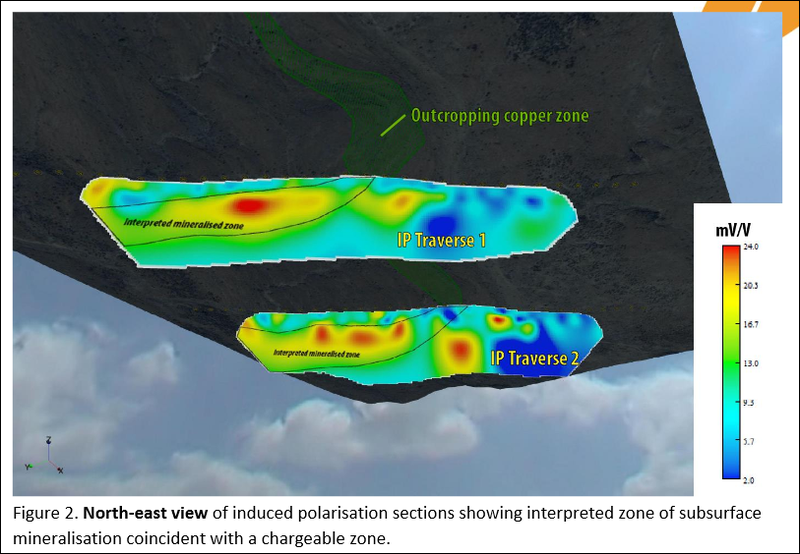 You can see that large zones of copper surface outcrops coincide with the red and yellow chargeability anomalies. 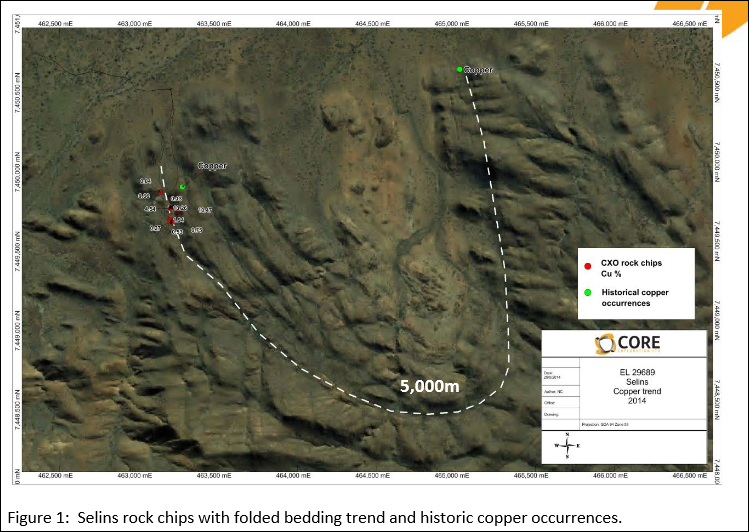 CXO also assayed 75 rock-chips which averaged 2.4% copper, and up to a whopping 34% within a copper horizon over 1km in length. 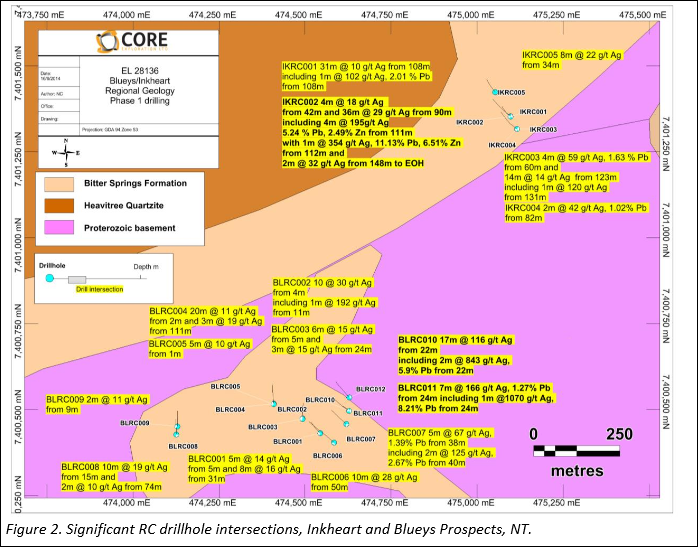 And the subsurface copper drill targets are shallow, generally less than 100 metres below surface. Geophysics or drilling have never been conducted at Virginia before... So it’s not surprising that CXO has immediately got to work on drilling approvals. 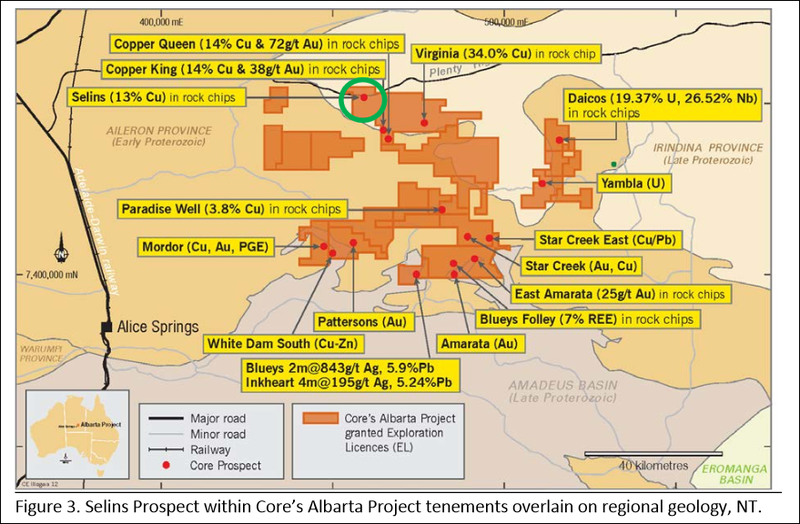 The aim is to enable drilling of these compelling new copper targets this quarter. 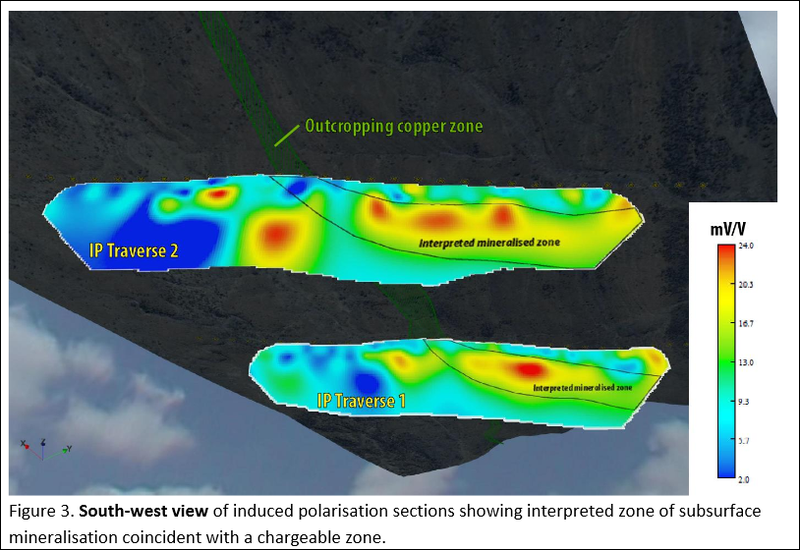 We are hoping that drilling can have a reasonable shot at hitting copper on a large scale!